Caronlab's All Natural Wax Melts™ is the same Traditional Smooth & Remove natural quick dry Hard Wax you know and love but in an ALL NEW fuss free format! 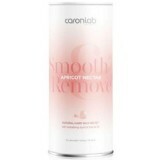 To save you time and effort Caronlab has developed revolutionary Wax Melts™ so you can say goodbye to hammers! Dair to be Dazzled! In an exciting and dairing move Caron has reformulated D..
French Vanilla Hard Wax Melts Caronlab's All Natural Wax Melts™ is the sam..
Golden Honey Hard Wax Melts Caronlab's All Natural Wax Melts™ is the same Traditio..
Olive Oil Hard Wax Melts Caronlab's All Natural Wax Melts™ is the same Tra.. This ultra flexible, elastic wax has a cool advanced formula, containing Azulene and Mica to soot..